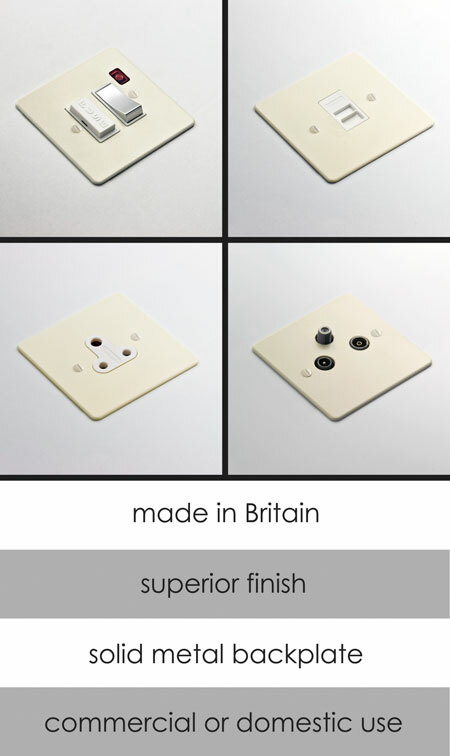 This contemporary designed electrical plug socket has a gloss cream painted finished onto a solid metal back plate. 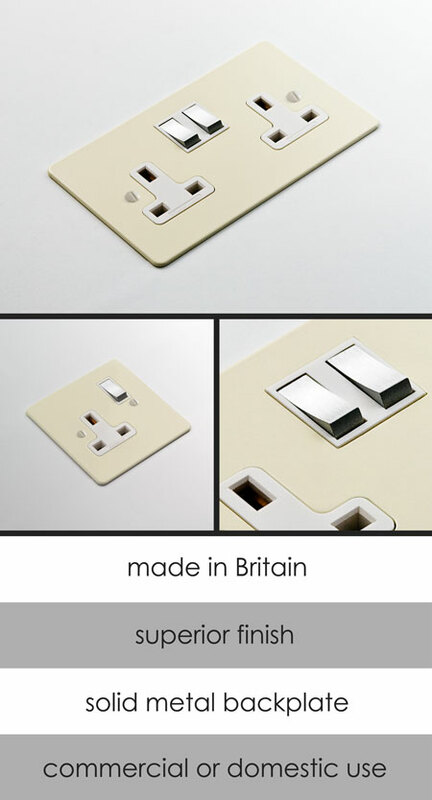 These electrical sockets are available in a single or double plug socket (shown) and are part of larger collection of electrical fittings. * Hard wearing gloss cream finish. * Complimentary electrical fittings available.